Jazz up your look with Billie, a delicately vintage pale pink that will bring class to your nails! 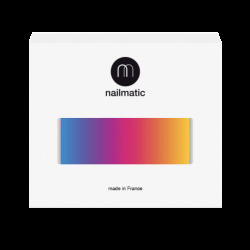 As part of our PURE color range, this polish is made from 84% plant-based ingredients and is enriched with plant keratin and starflower oil: kind to the planet and your nails, yay to that! 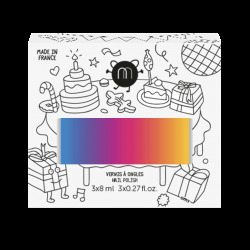 PURE color range is made from a 10-free formula. For us, that makes it a 10 out of 10 kind of polish. Top marks! Why take two transparent nail polishes into the bathroom (or to the sofa, let’s be honest)? Make life easier with our 2-in-1 Base & Top Coat. Before starting, take off any old polish and wash and dry hands thoroughly. A clean surface is key for a smooth manicure that lasts! 2. Apply one coat of Billie in three strokes: one in the centre, followed by one on each side. This salon-technique is easy thanks to our wide brush. 3. Apply an extra coat for more opaque coverage. 4. Top coat required? It’s not essential, but it’ll give your color a super glossy, long-wear finish. Add an additional coat 24 hours later to extend wear even more. • Billie Jean? This pale pink looks great with denim! • If you’re not much good at painting the nails on your writing hand, sit at the table when applying your color and anchor your elbow to it. It should help reduce the wobbles! ingredients: butyl acetate, ethyl acetate, nitrocellulose, isosorbide dicaprylate/caprate, adipic acid/neopentyl glycol/trimellitic anhydride copolymer, alcohol, stearalkonium bentonite, acetyl tributyl citrate, isopropyl alcohol, diacetone alcohol, n-butyl alcohol, borago officinalis (borage) seed oil, phosphoric acid, hydrolyzed corn protein, hydrolyzed wheat protein, hydrolyzed soy protein, silica, leuconostoc/radish root ferment filtrate, ci 77891 (titanium dioxide), ci 77491 (iron oxides), ci 15850 (red 6 lake), ci 19140 (yellow 5 lake).